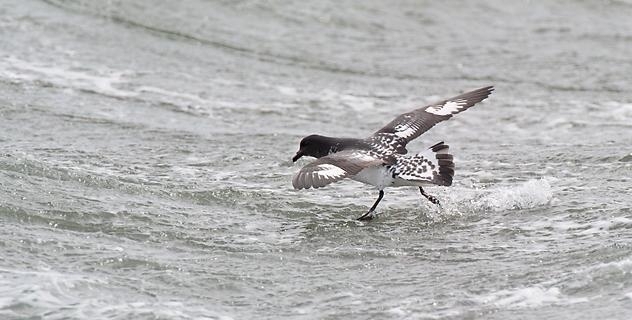 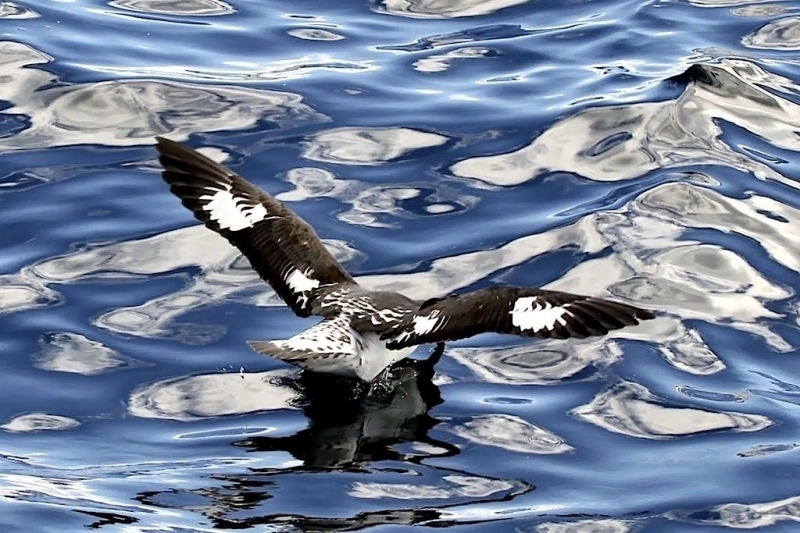 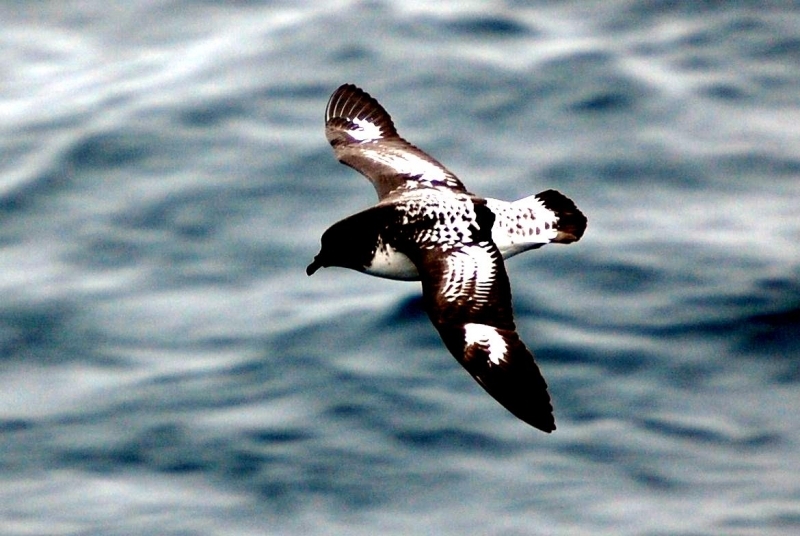 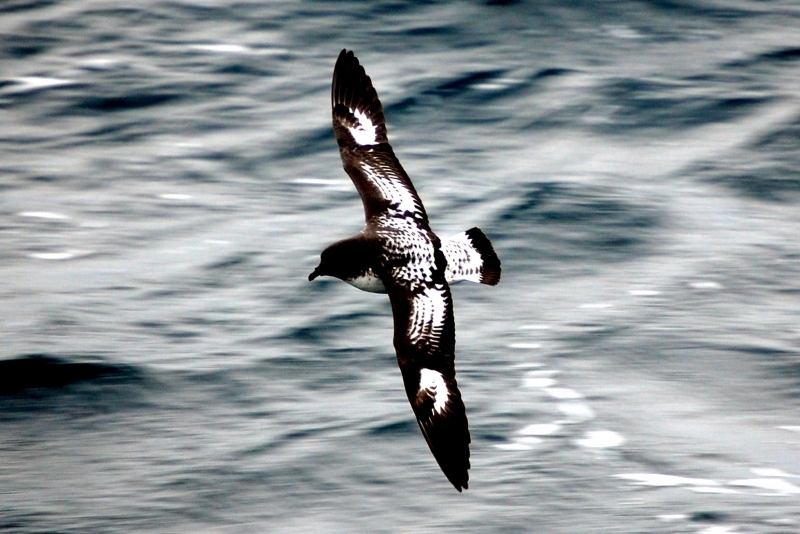 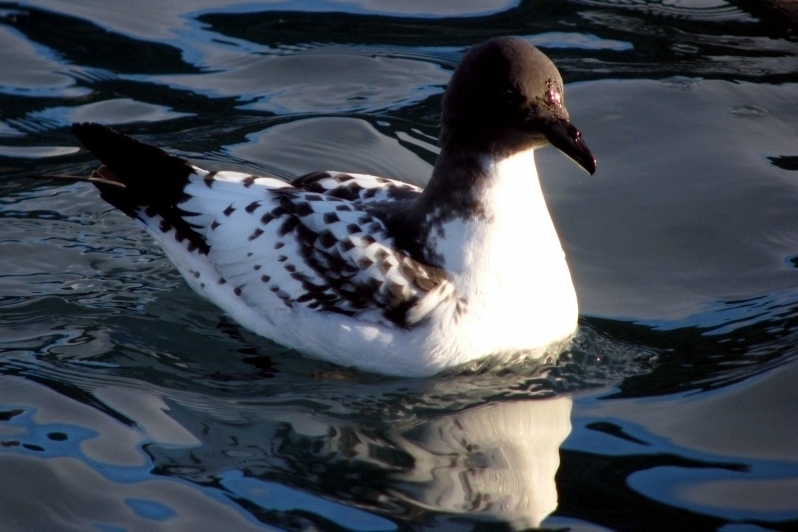 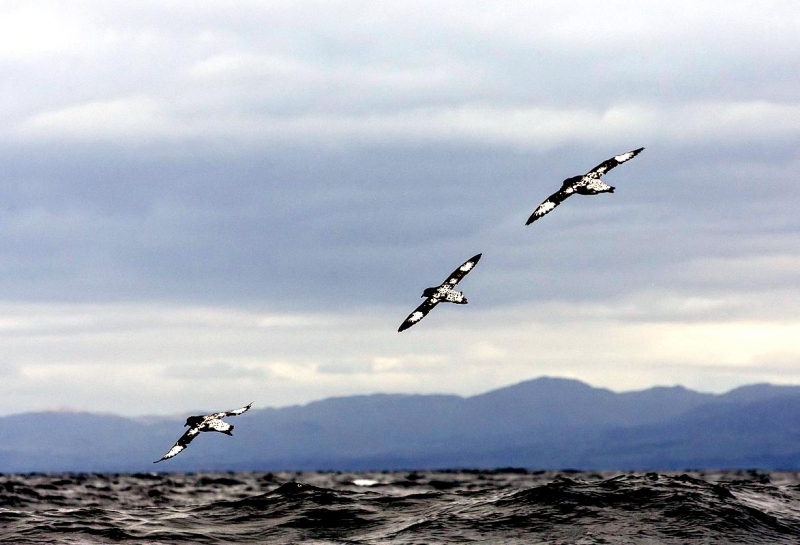 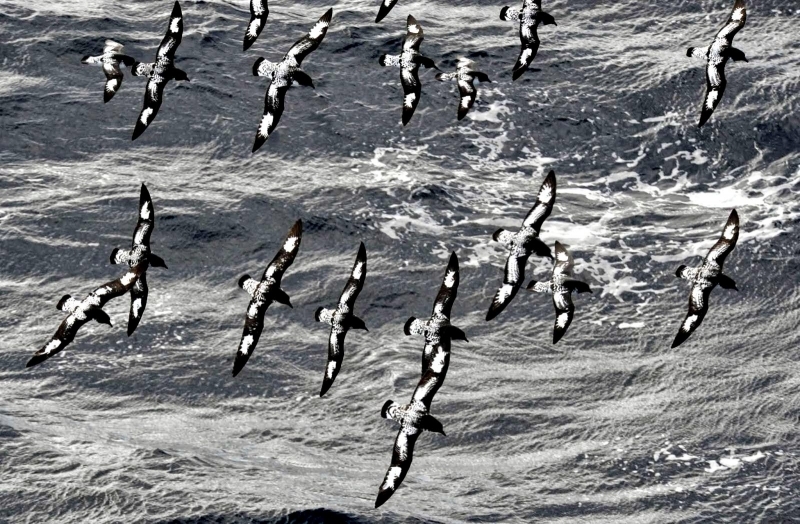 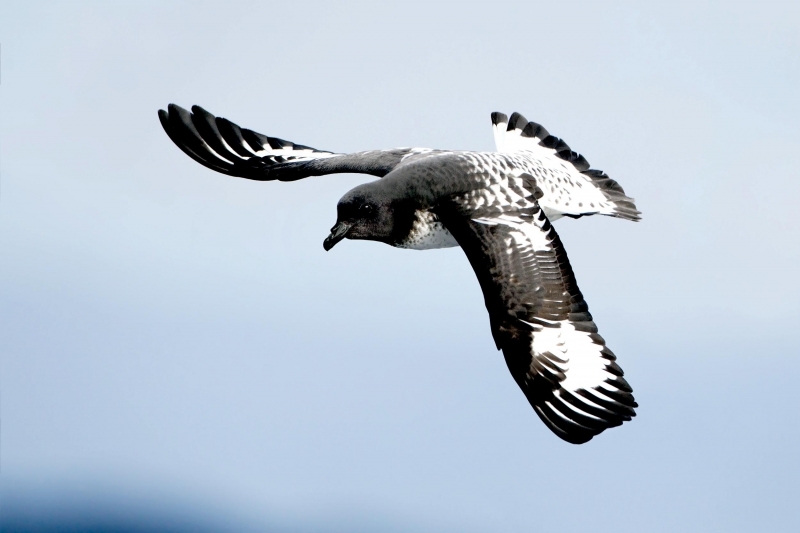 Cape Petrels are distinctively patterned black & white on their upper-parts, while their underparts are mostly white. 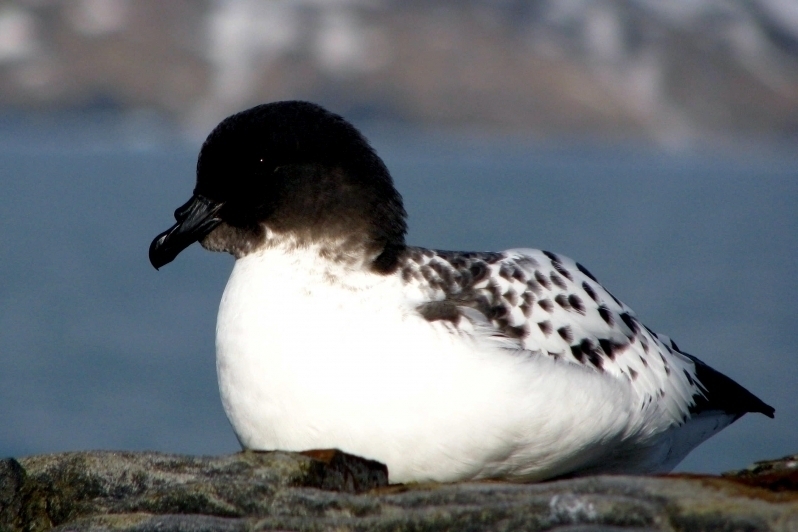 The chin & throat are blackish and the tail has a blackish tip. The under wing is white with black margins and the bill, legs & feet are all black. 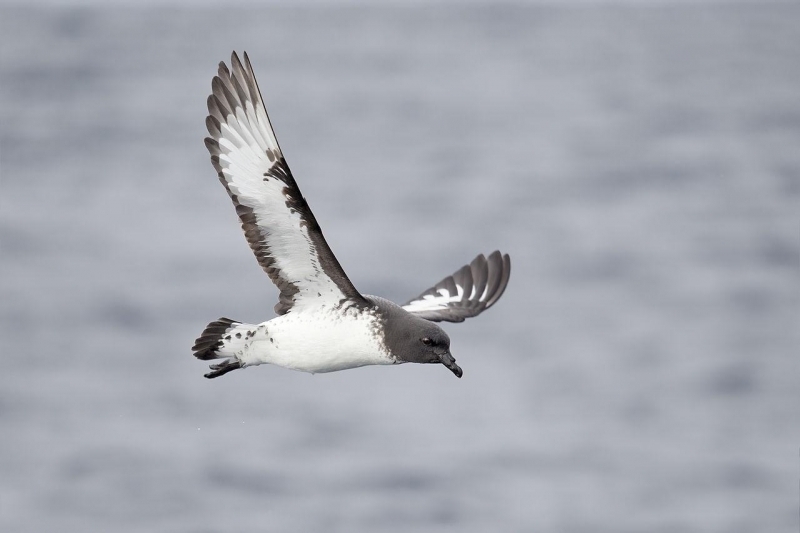 The Cape Petrel is also called the Cape Pigeon, Pintado Petrel or Cape Fulmar and is a common seabird of the Southern Ocean. 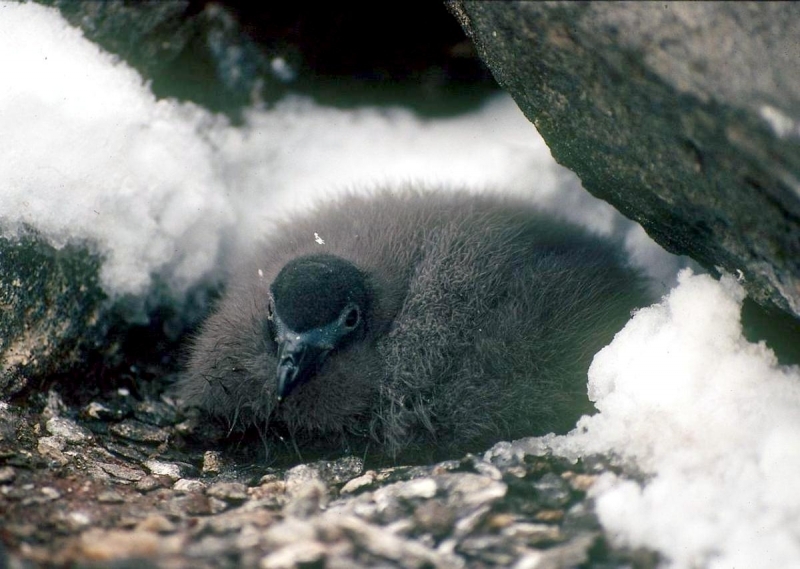 They breed in colonies on the Antarctic continent, sub-temperate islands near New Zealand and on sub-antarctic islands in the South Atlantic and the South Indian Oceans. 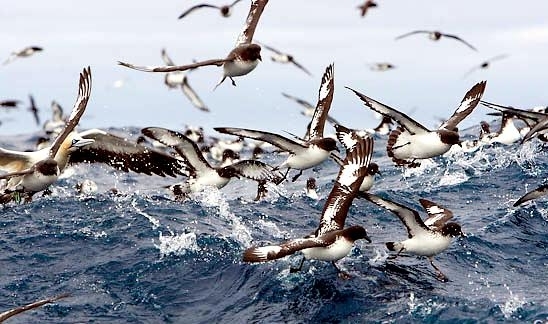 In the winter months, Cape Petrels reach Australian seas as far north as 27°S on the east coast and on the west coast to Carnarvon (24°S). 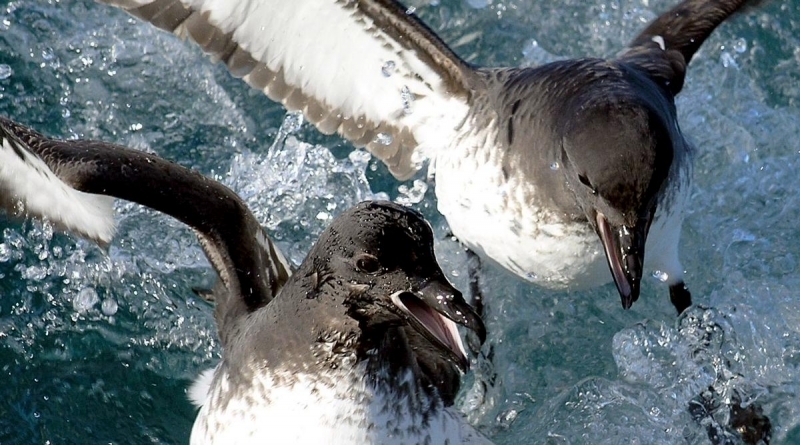 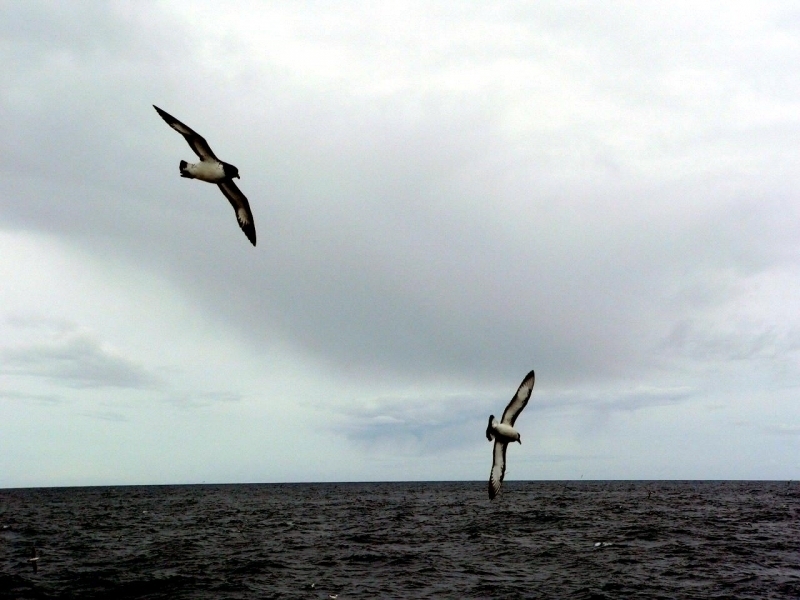 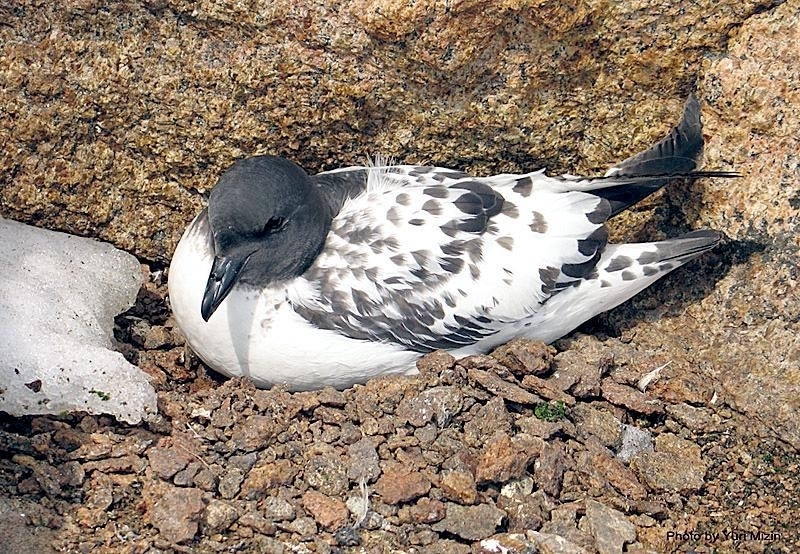 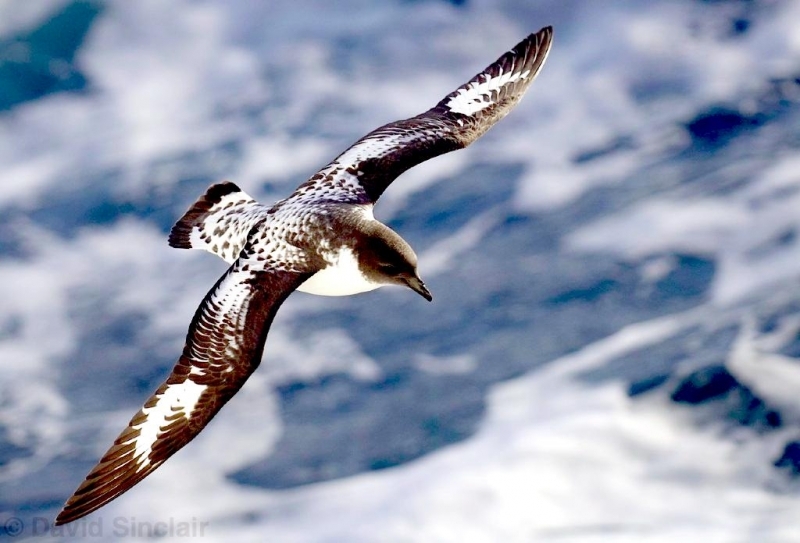 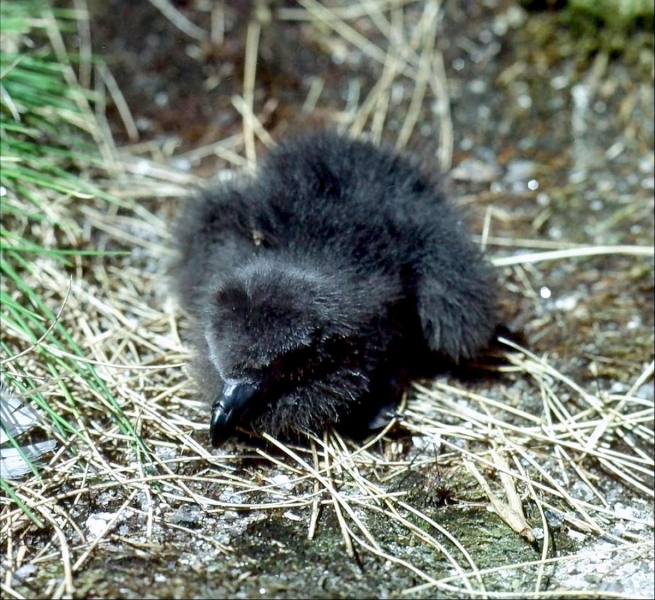 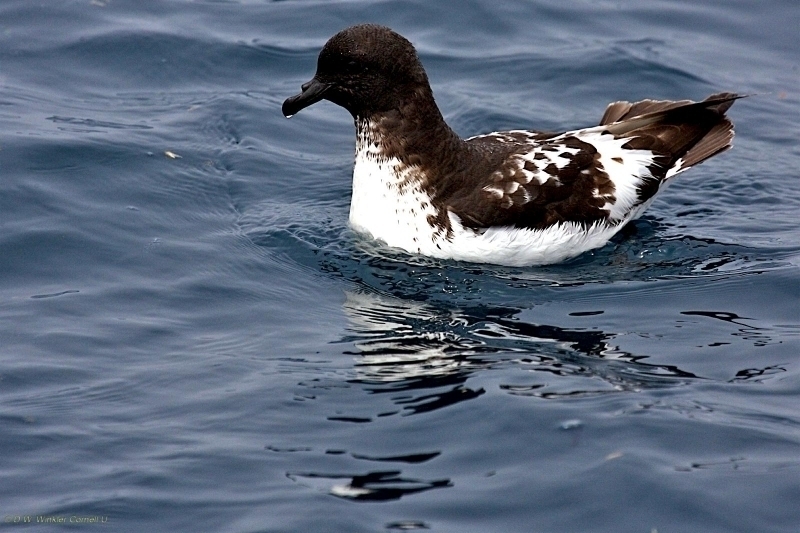 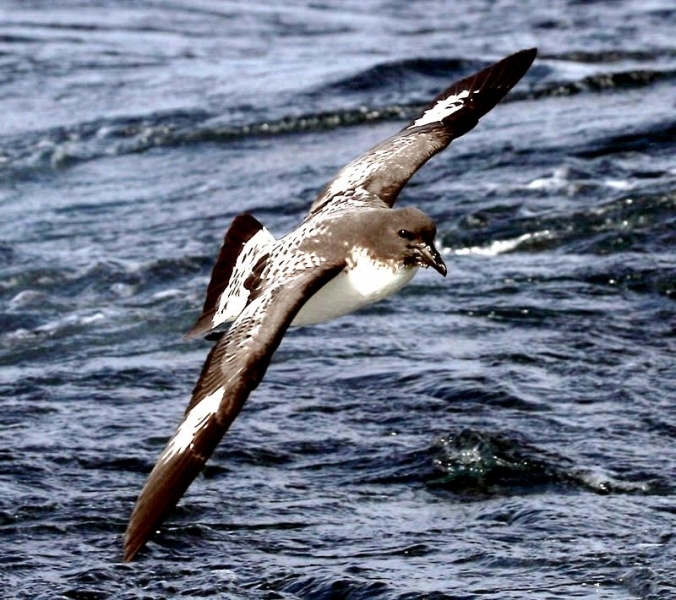 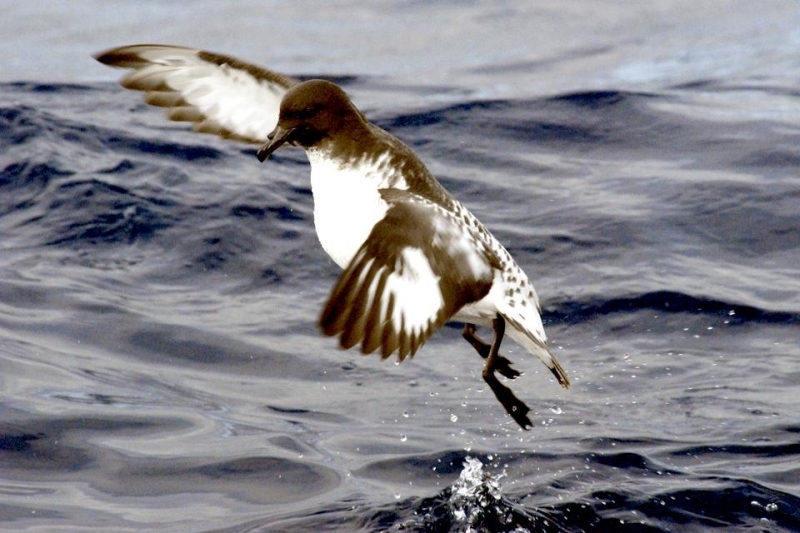 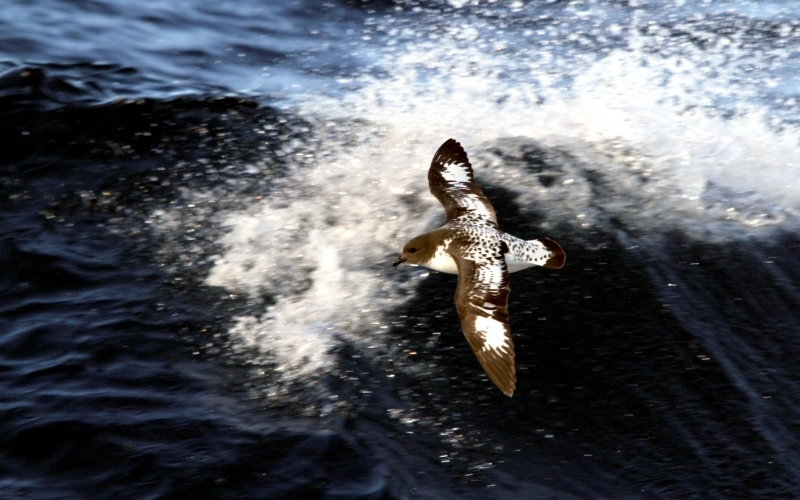 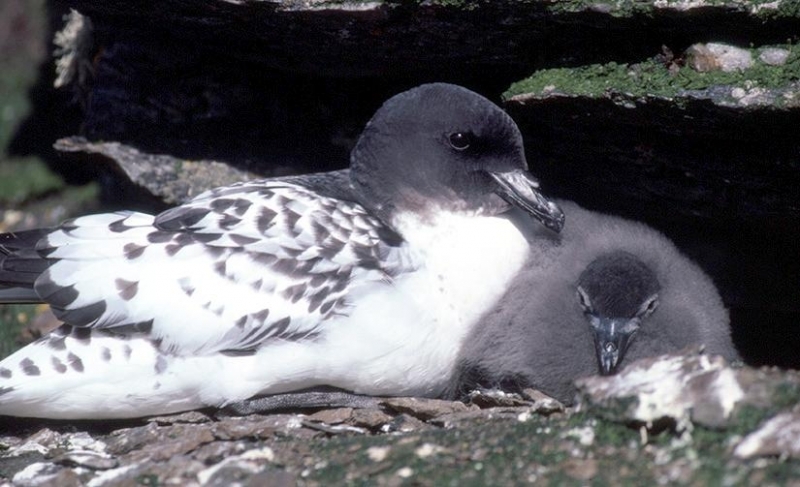 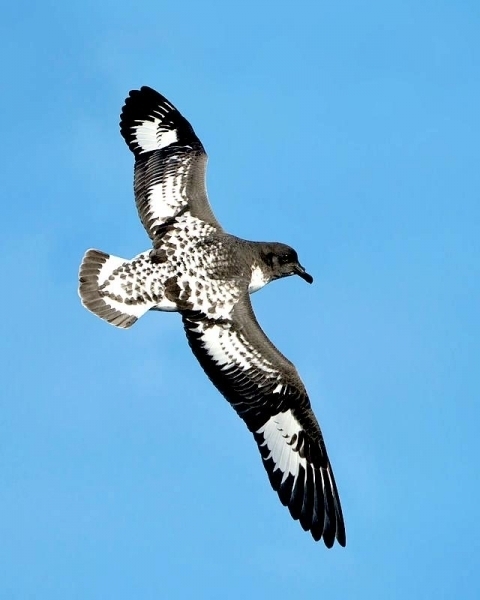 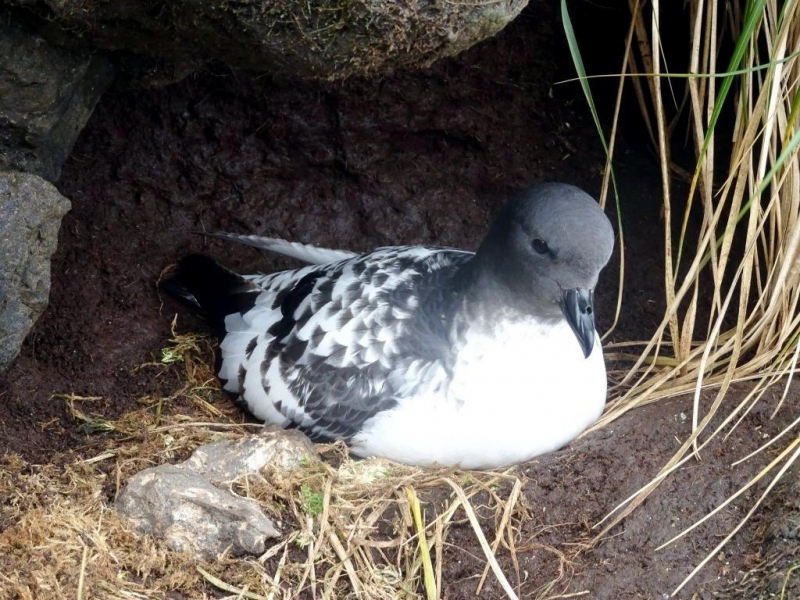 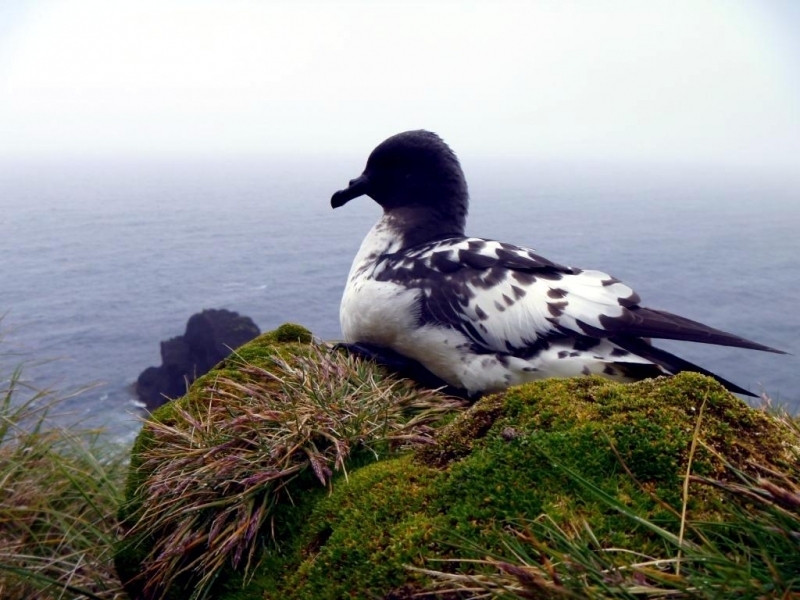 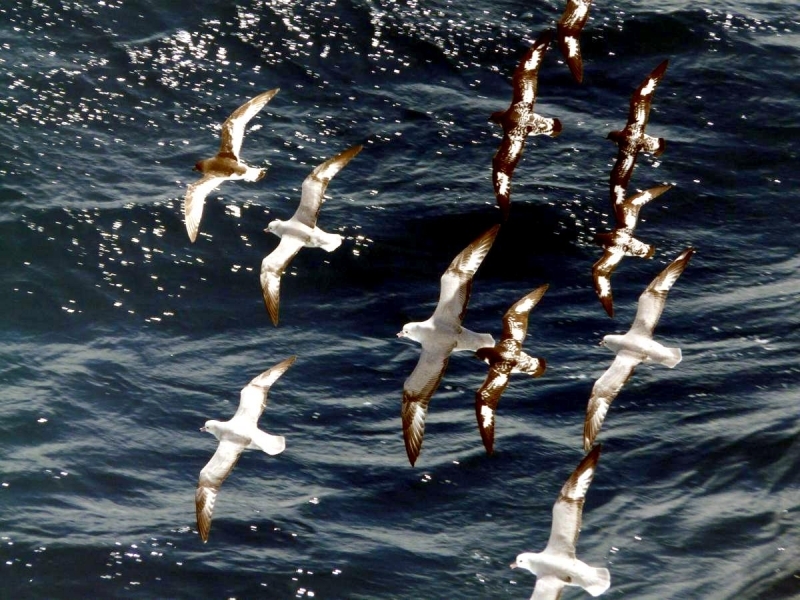 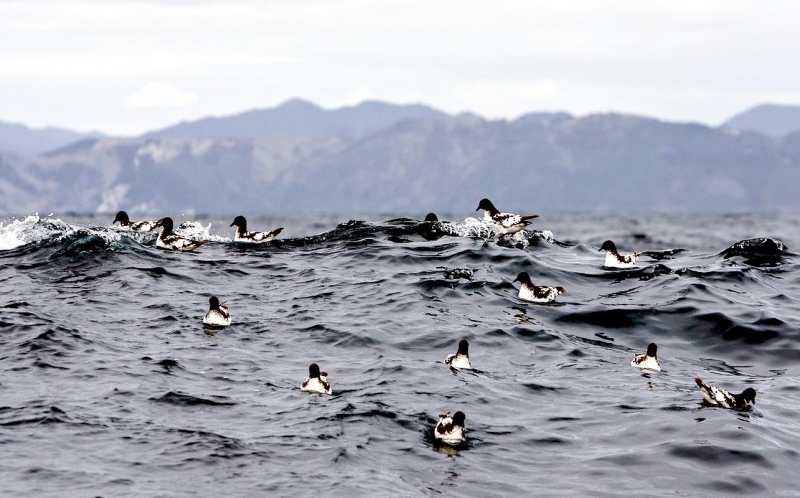 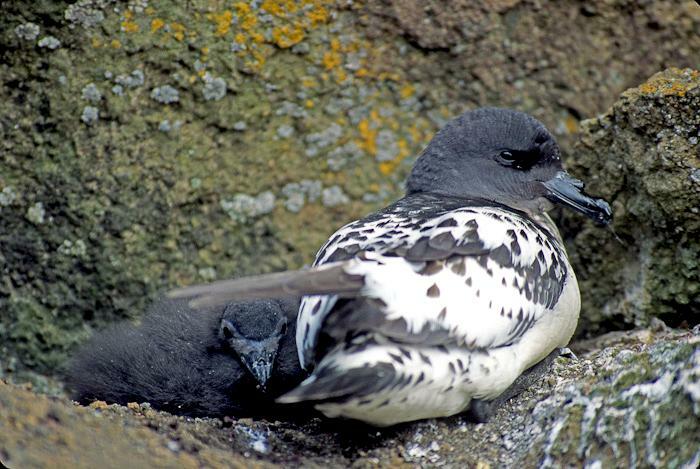 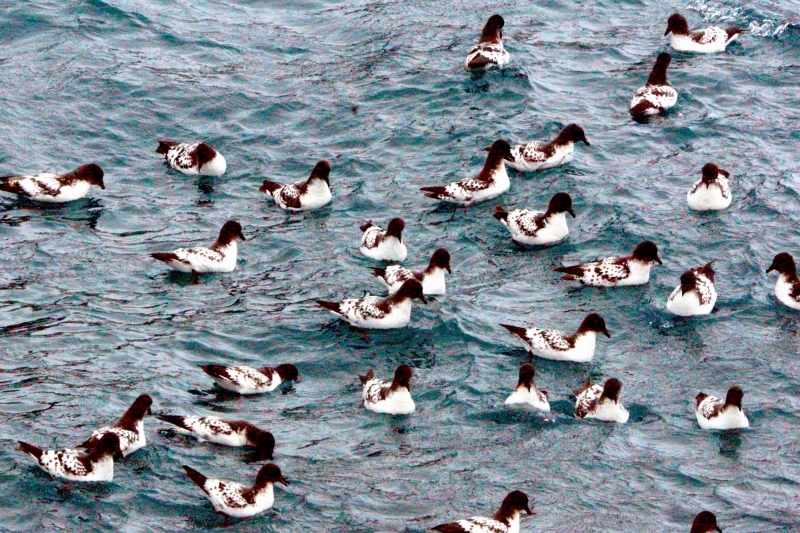 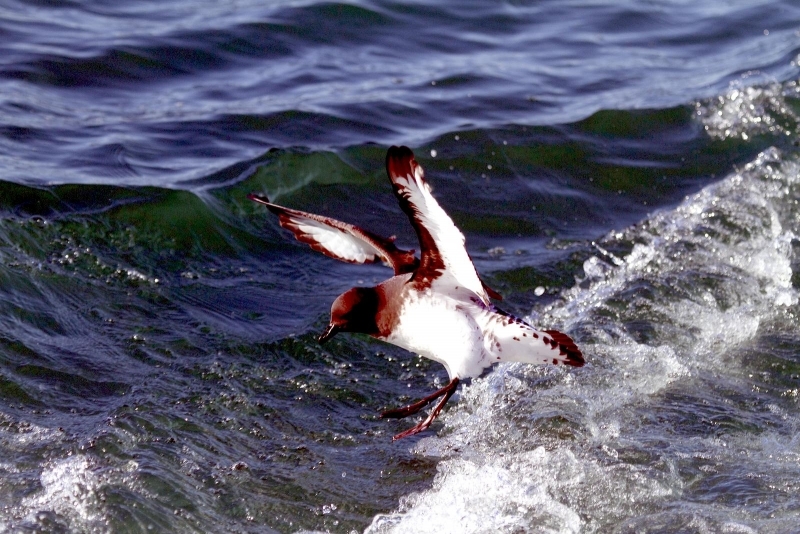 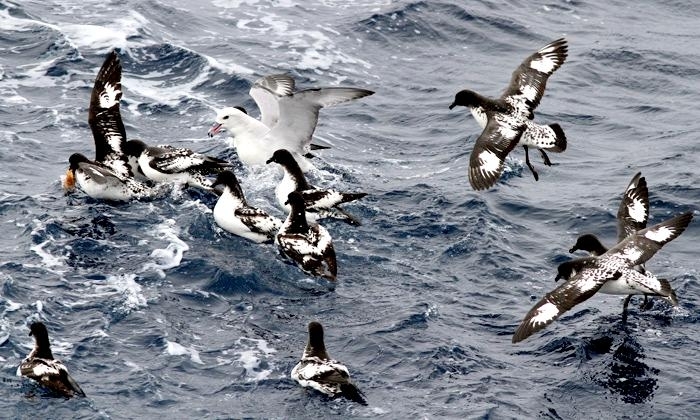 The population & breeding status of the Cape Petrel is satisfactory. 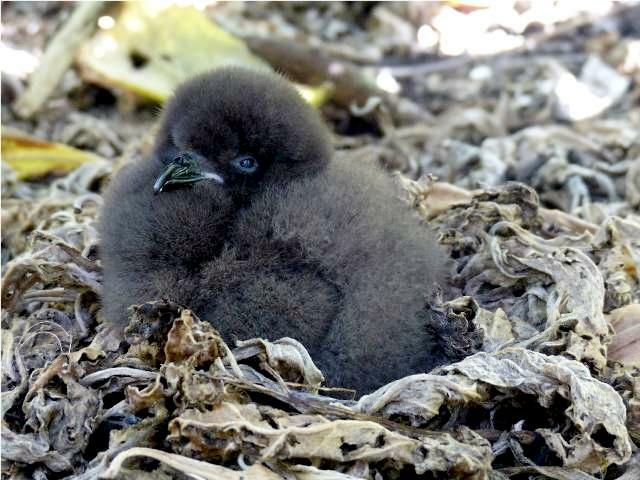 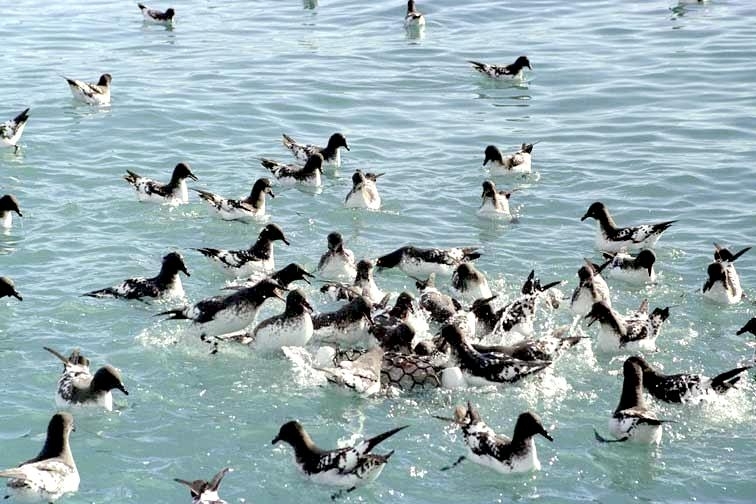 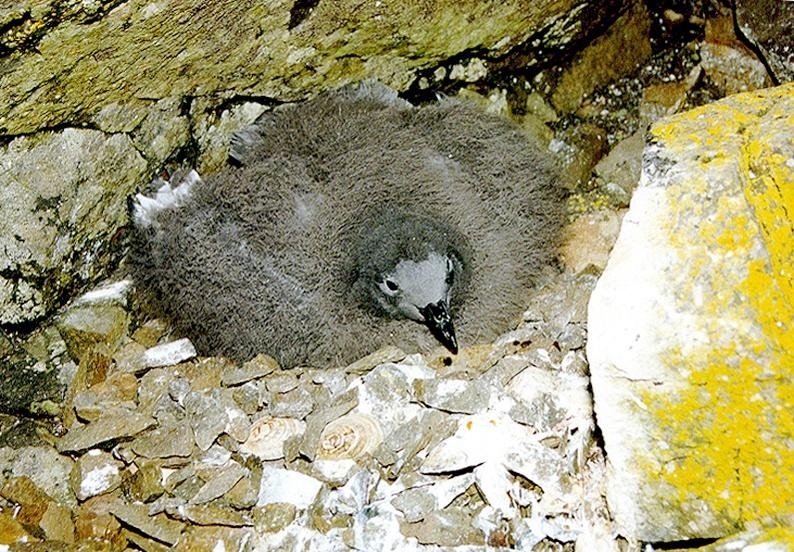 At some locations, feral cats & rats harass these seabirds during breeding season but the inhospitable nature of their nesting habitat protects them from serious depredation. 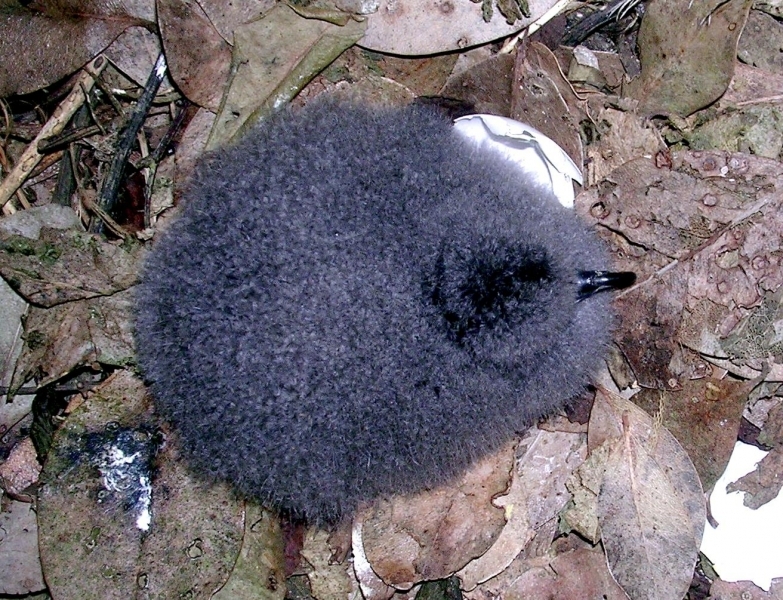 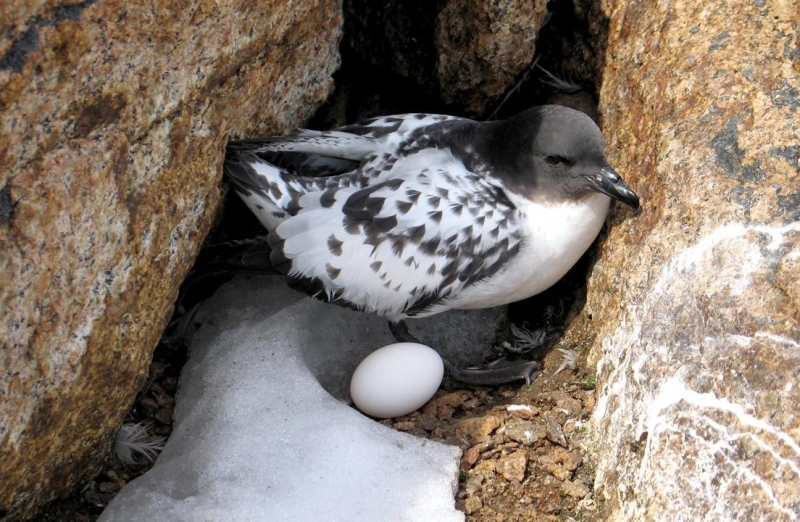 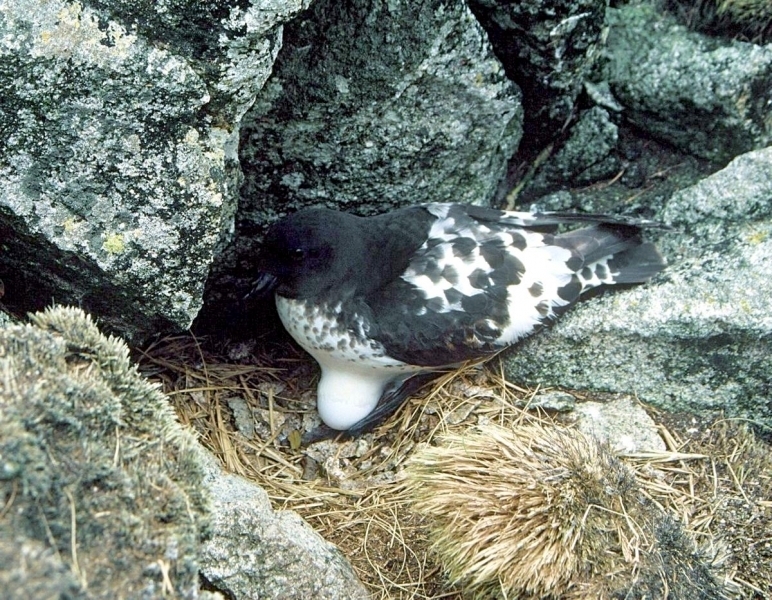 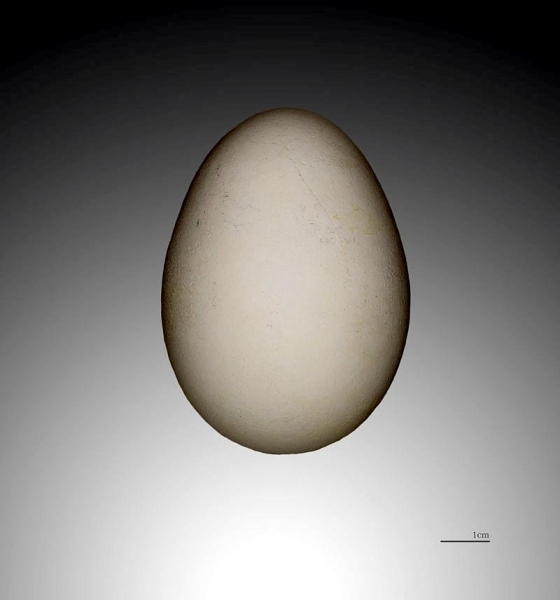 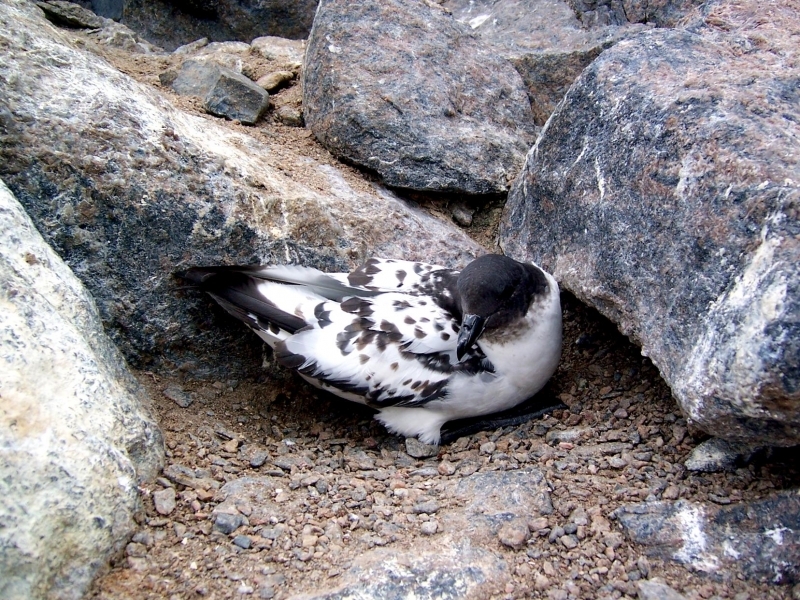 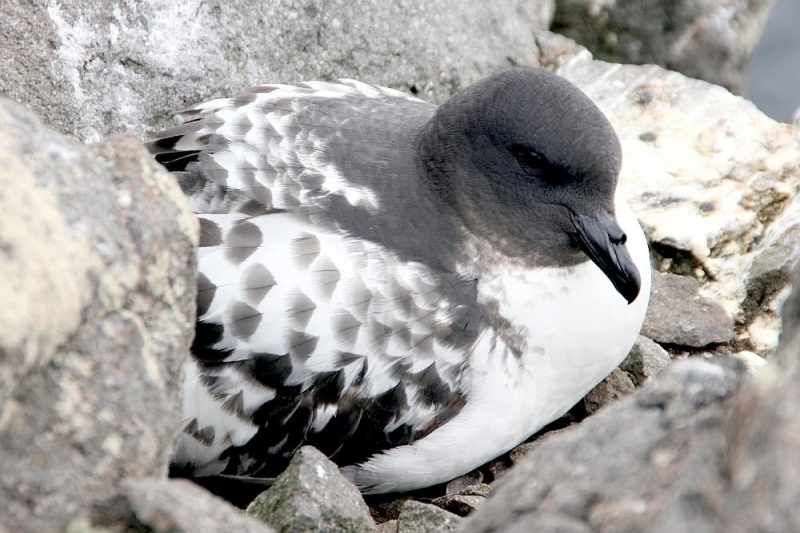 Cape Petrels lay 1 white egg between November and early December. 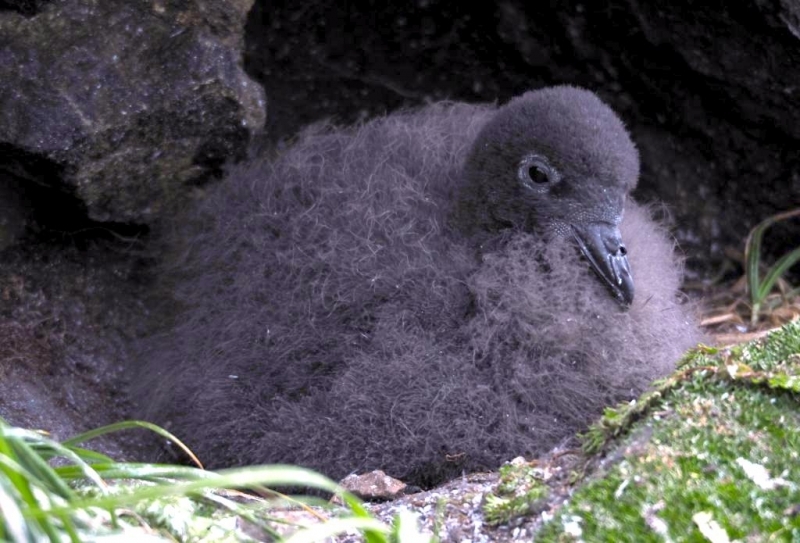 They generally do not start breeding until they are at least 5 years old. 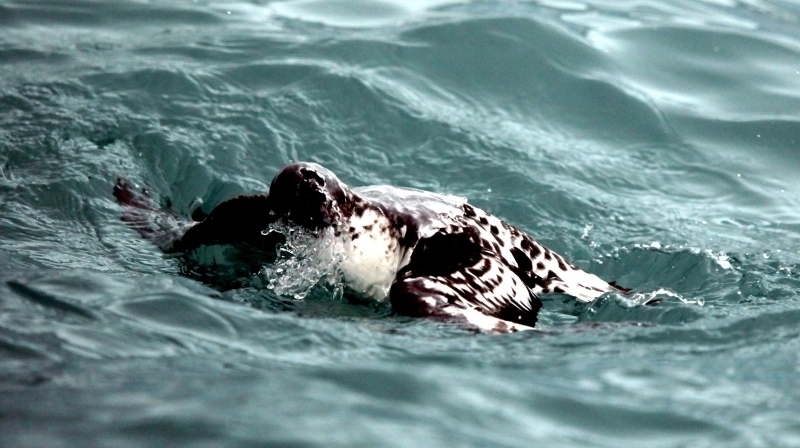 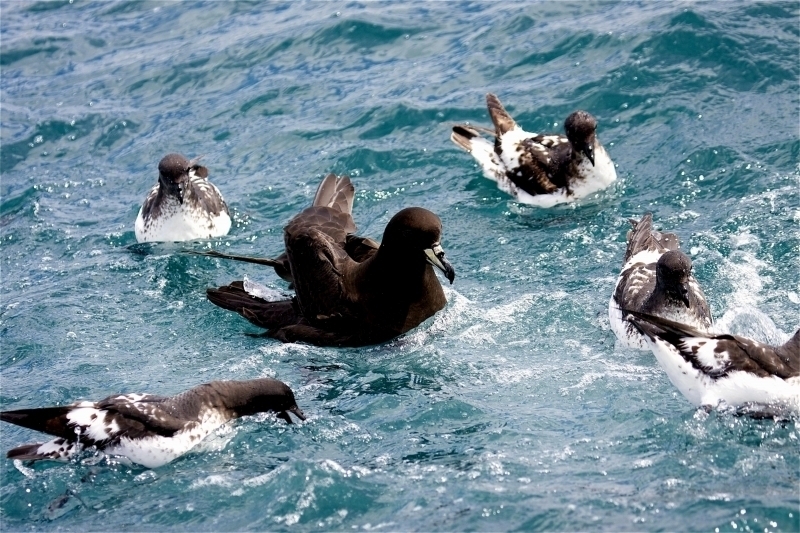 Cape Petrels feed mainly on krill, squid and small fish. 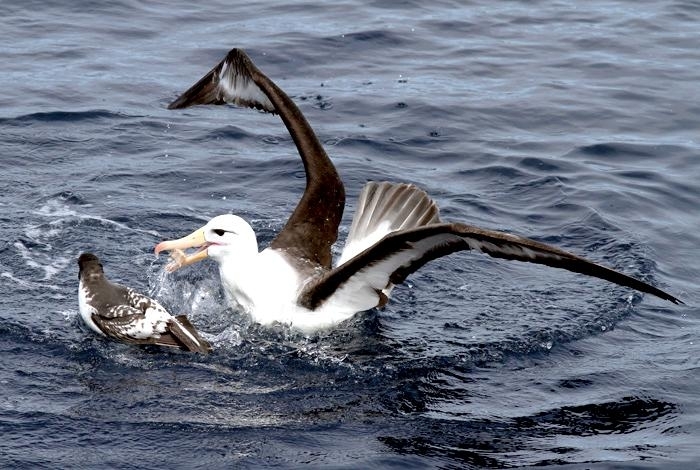 They persistently follow ships & boats to take discarded scraps and also scavenge on carcasses.